Our planets--same solar system, totally different attitudes! Take this quiz to find out which planet you'd be! The following questions will determine which planet you are. Choose the answer that best describes you for the most accurate result! Do people ever tell you you're from outer space? 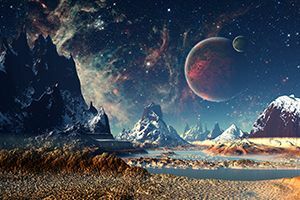 Take this quiz to find out which planet would be your home planet! Remember to share the fun with your friends!